The construction of a new road – whether from asphalt or concrete – is a complex multilevel process. There are numerous tasks relevant to the process, including engineering concerns, inspections, administrative tasks, technology implementation, process management, safety maintenance, cost tracking, estimation, and more. 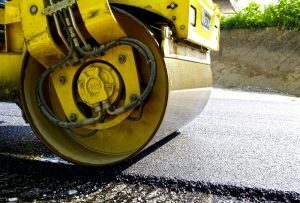 Modern mobile technology solutions offer a superior alternative to traditional paper-based or computer-based processes, which accompany road construction and maintenance. Here are some examples. Any aspect of road construction and maintenance deals with data, its collection, processing and analyzing. Paper-based operations require a lot of time and efforts, they are unreliable and costly. Timely leveraging of accurate data can improve business processes and affect the quality of end work. Road construction apps is the best way to instantly work with various data at the job site at any time. Ready-made mobile forms save a huge amount of time on filling. Moreover, the information can be generated into a report right at the smartphone and immediately sent to the manager, contractor or any other specialist. Paper timesheets burden every manager in work time tracking and the payroll process. Implementing a construction timesheet app minimize the headache from paper timecards and improve the project management. This solution can significantly influence the quality of the whole road construction process and a success and profitability of the company. The app enables anybody to track work time for any project or job code and generate a professional time card which can be emailed. Employees can punch in and out on their mobile devices anywhere, add breaks and details, generate powerful reports and send them to the management or accounting, analyze their progress with the Dashboard and more. Many companies have already benefited from this powerful timesheet app and you can join them right now. Safety of roads and the potential environmental impact is an important topic in a road construction and maintenance process in globe. And safety workplace while building high-quality and reliable roads is a leading task of each separate construction company. Special road construction apps can provide powerful features to track safety in the field, conduct timely training and inspections. Road construction apps can become an inalienable tool for various inspections, from equipment inspections to checks of materials’ quality. It is the easiest and fastest way to collect data. Conducted inspections are safely stored and always ready for demonstration to special organizations and regulatory authorities. Every day, road construction industry is looking for a greater effectiveness and efficiency in its techniques and methods. Road construction apps quite literally have the potential to impact every aspect of road construction and maintenance in a positive way. If you need a custom app for your work just contact Snappii. We provide the most powerful solutions and know all tricks to create the best mobile assistant for you according to your specific needs. Start from a free quote from us. At construction jobsite, safety of workers is the top priority. Modern mobile solutions come to the rescue and help make construction sites safer and avoid accidents. Let’s consider how it works. Knowledge is power, and timely information in construction allows preventing accidents. Modern safety construction apps help employees always stay informed anywhere and at any time. With constant convenient communication with all available mobile features like video, audio, photo, GPS, workers and managers will miss nothing. Also, just a push of a button in the app can instantly report a hazard and protect the whole construction team and the project. Construction workers rely on the equipment, machines and vehicles to work efficiently and safely, and the company should provide constant in-order and safe operation of all tools and equipment. 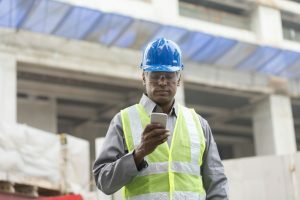 Mobile construction apps allow conducting various timely inspections to maintain all work aspects, reduce the risks and contribute to a more productive workflow. They provide convenient mobile checklists, fast data collection, instant reporting and more. Read more about mobile inspection apps required by work at the jobsite here. Safety directors and managers are entrusted with a huge responsibility. In addition to the general control of workplace safety, they must report about it to the highest authorities. Mobile safety construction apps allow them to get complete professional reports from all departments and personally from each employee on a daily basis. Clear and timely reporting is a guarantee of company stability and legal protection of both the company and its employees. Today more and more builders and other construction professionals appeal to construction apps for various purposes. Today Snappii is a leading mobile business apps company with more construction apps than all construction software companies combined. We help modern construction companies save time and focus on the job instead of IT. After working in the industry for years, Snappii now believes they have a mobile solution to fit literally any problem. Snappii offers powerful apps to ensure safe construction workflow and meet any requirements. You can find such ready-made apps as Construction Daily Log app, Punch In / Out Timesheet app, Construction Manager app, Construction Estimator and Bidding app, Heavy Equipment Inspection app and more. The main feature of all Snappii construction apps is their 100% customization. Any app can be modified specifically to your needs and contain a unique functionality. Moreover, we can add your usual work paper forms right into the app and convert them into the digital format. Steven Koski from Harold Brothers says: “Thanks to Snappii, we moved away from paper forms and are quite pleased with the result. Now it literary takes a few minutes to fill out the report, sign and send it.” Construction industry is in demand for high-quality powerful apps and this demand will rise. We don’t stop and also develop and are ready to a new step. The construction industry is constantly evolving. Most of modern construction professionals have smartphones and use special construction apps for their work. Some of these apps can actually replace the office. Let’s consider what exactly specialists need from modern construction mobile solutions. Some time ago, the office was completely disconnected from the construction site. This leads to waste of time for the transfer of the information, delays in work and misinformed decision making. Modern mobile solutions allow all employees to be in constant communication at any location. Construction apps are a perfect way to instantly exchange calculations, information and any kinds of data. Also the speed and the quality of such communication should be especially emphasized. Absence of the lost time and interruptions in workflow directly influences the efficient of the employees and the revenue of the project. Modern construction industry has a paper problem. Paperwork is usually the last thing field employees want to do. It takes a lot of time and can be extremely inconvenient. Using paper to collect the data can cost up to 31 times what it originally costs due to things like transfer, printing, copying, postage, storage, etc. 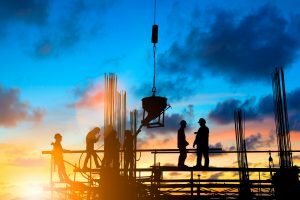 Thanks to mobile solutions like mobile forms and construction apps, modern companies can eliminate paper and streamline construction projects. First of all, companies can save hundreds of hours collecting the data. Moreover, it improves accuracy and reduces issues that arise from poor handwriting, untimely transfer, inconsistent data, and information gaps. Mobile apps allow users to collect such data as images and locations. It is also important, that reduction of paper consumption preserves the environment. Project managers have to cope with so many responsibilities and mobile construction apps can significantly help with their work. Now any construction manager can instantly specify objectives and plans, assign tasks, track the progress of work, maximize the efficiency and more. Moreover, special apps can be actively used in budgeting and some legal issues. Workplace safety should be the number one priority for any construction company and needs to be integral to a company’s policy. Safety maintenance consists of several activities such as regular inspections and training. 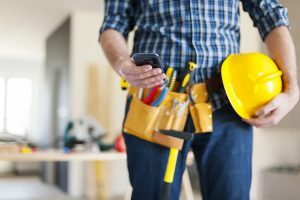 Mobile apps can be a perfect assistant in workplace safety maintenance and help avoid injuries and accidents. Read more about safety apps here. Snappii offers powerful construction apps to automate all mentioned tasks done by field employees. 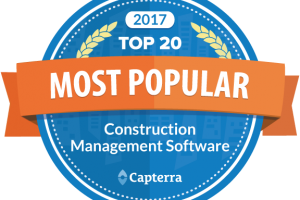 Recently we have reached a major achievement being included in the Top 20 most popular construction management software report by Capterra. You can find more information about it here. All Snappii construction apps are 100% customizable and can be modified according to the specific needs. Our main principles are the speed and high quality, and of course, our main goal is a complete satisfaction of our customers. Among our customers are such companies as Harold Brothers Mechanical Contractors and we were very pleased to work with them. Join the team of Snappii successful customers, check our gallery of construction apps or request a custom app development. Let’s start right today! Construction projects are the platform for disputes of different specialists and conflicting claims often arise between the many parties involved in the process. Some of these construction disputes transform into the litigations. It is a common practice and should not be treated like a disaster. However, construction companies are able to protect themselves and their employees in advance and have peace of mind when litigation comes. Accurate contract and project documentation is the best way to avoid litigation. Superintendents, foremen and project managers try to get the reports at the end of each day. However, it takes a lot of time from field workers to make the reports and drive them to the office. Moreover, inaccuracies and mistakes are not a rarity in manual filling of the paper forms after a hard workday. Snappii offers the simplest way to create professional daily reports in minutes at anytime and anywhere. Construction Daily Log is a convenient, powerful and easy-to-use mobile app, which allows users to capture any information and create professional reports right at their smartphone or tablet. Hold your team accountable for daily updates! You only fill in the sections you need in a one-page collapsed form. The app captures weather conditions, locations, date and time, amount of labor performed and other field related information. Construction Daily Log app includes contractor details, site information, work performed, subcontractor progress, issues and punch lists, reasons for delays, additional work or change requests, materials purchased and received, labor and travel hours and more. Don’t want to type? Hit the mike and speak into it. It translates your voice into text. The app works offline and syncs when the Internet comes back. Track labor hours for employees and subs. You can attach any document and pictures to highlight progress or show problem areas and share them with others. Watch the video to learn more about Construction Daily Log app. Recently Snappii has released a much-improved version of Construction Daily Log app. It is even easier to use and offers snappy performance. It is already available in the Apple App Store and the next week we will release Android updates. Our monthly plans start at $15 and are based on number of users. The more users you have the better the price. Also Construction Daily Log app can be configured to match 100% of your company’s specific needs. Just send us your requirements and existing forms and get a free quote. Snappii creates apps in days not months! Have any questions? Contact our support team at any time at support@snappii.com or call us +1888-707-6633. Since mobile construction apps have surged in popularity, the number of apps and their types is also growing rapidly. Let’s figure out what to look for in a ton of mobile construction apps available in the Apple and Android stores today. All these tasks should be done on-the-go and with minimal effort. Snappii, a leader in mobile construction apps, has analyzed the tasks of modern construction manager and tried to develop a universal tool for their extremely fast and efficient implementation. The Construction Manager app is specifically designed to ensure the accurate and regular flow of information, such as maintenance logs, timesheets, inspections, project estimates and reports between company headquarters and construction sites. This app is a unique opportunity to control the entire project path with ease. 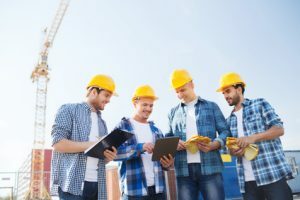 It doesn’t matter if you have ten employees or ten thousand, it can be difficult to track workers and job at the construction sites, relying just on the paper timecards and timesheets. That’s why construction timesheet apps are an extremely helpful tool for modern construction specialists. 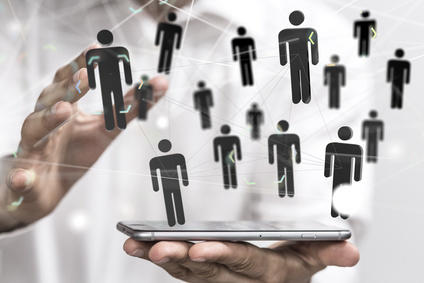 The app can help to bridge the gap between the field and the office, ensure control under the workflow and improve the efficiency of the whole work. Construction Timesheet app from Snappii offers powerful features for both managers and field employees. From “punch in and punch out” solution to weekly and biweekly timesheet reports, the app can significantly save time, money, eliminate confusions and any headache. Construction daily report is an essential part of daily activity of any construction worker. Such reports usually contain the work done, the equipment used, the exact time work began and ended, the weather conditions, any delays and more. These documents influence the status of the whole construction project and should be brought to a special attention. So, daily log apps are an important type of construction apps and can be helpful for all specialists. – workflow optimization and improvement. A lot of modern construction apps contribute a positive growth of construction companies. Now you can decide what exactly you expect from your construction app and make the right choice. And if you can’t find an appropriate ready-made app, Snappii is always able to create a custom app in accordance to your special requirements. A new and improved Construction Daily Log App from Snappii enables construction companies to save 60 minutes per day per person. If you haven’t heard, a new technology called geo-tracking has been spreading through the smartphone industry like wild-fire. Geo-tracking allows you to track where an individual, or in some cases equipment, is, via their smartphone. With certain apps, this geo-tracking feature can be hidden in such a way that the user will not know that their location is being sent out. If Geo-tracking was around when I was a teen, I probably would have spent most of my childhood behind barred bedroom windows. Businesses are finding more and more ways to use Geo-tracking capabilities. From the construction industry to public safety, geo-tracking can be used in a myriad of ways. Normally, an app that has the capability to geo-track can cost a fortune, but by using Snappii’s intuitive app-editor you can create an app that does all of the above (and more!) for FREE (14-Day-Trial). So how does geo-tracking capabilities help all sorts of different businesses? Campus security all around America has been tightening up due to an increase in campus violence in the past few years. As students get smarter about how they commit crimes, campus security had to keep up and fight back. Aside from knowing exactly where every officer is at any moment, geo-tracking helps university security by pinpointing where a victim could be. The victim simply has to open their university app, press a button, and the campus security will be informed of their exact location. By enabling the users to push their location to university officers, even students on the run can be kept safe no matter where they are. And because most universities have wi-fi in every corner, no student is left stranded in dangerous situations. Businesses that dispatch fleets have had the technology to view where their fleets are for a while, but it required special hardware to be mounted onto the vehicles in order to work properly. This hardware has always been an expensive option, and fixing them was as much of a nightmare has installing them. So what makes geo-tracking different? Geo-tracking workers by tracking the employee’s smartphone instead of their actual vehicle. Once the app is built, there are barely any additional cost associated with enabling geo-tracking in your business (especially if you use Snappii). It’s just a matter of downloading the mobile app on the employee’s mobile device, and informing them to leave their data on. Even if a driver does not have receive signal in certain areas, the dispatcher will be informed of their location as soon as the driver enters an area with signal again. Speaking of vehicles, companies that lend out vehicles have long sought after a way to track their employees to ensure they don’t use their vehicle outside of work. Employees that use vehicles out of the job not only present significant insurance issues, but can also cause tax-related issues as well. A similar technique can also be used for on-site equipment, like bulldozers. Contractors (and even employees sometimes) are also notorious for over-quoting the cost of a job based on labor hours. Geo-tracking ensures the app-owner that contractors are spending the correct amount of time on and away from the job site. If an employee decides to lie about their hours, the report will show the discrepancy and correct disciplinary action can be taken – with proof! Creating an app that has geo-tracking enabled can be a headache. With the cost of hiring developers at an all-time high, mobile apps have almost become exclusive to only the biggest companies with the deepest wallets. Snappii changes that. Using Snappi’s industry-leading platform for building mobile apps, companies big and small can have the same technology for a fraction of the price. Try our app builder today with a FREE trial for 14-days (some apps are free for even longer than that!) and see how easy it is to put together your own geo-tracking mobile app.